You need reliable bite sleeve for training your German Shepherd? Do you want to get functional item that will serve you as long as only possible? 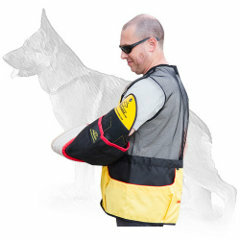 This Intermediate Bite Sleeve is the best choice for protection and professional police training. In combination with durable cover this supply is reliable for advanced bite exercises. Even if the cover has been damaged after numerous training sessions, you can purchase a new one, but the sleeve will be the same and will serve you more and more. 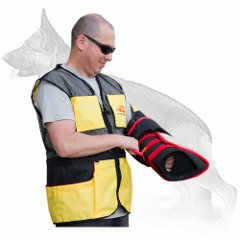 This bite sleeve can be used for basic training, but not for advanced or further stages of bite training. 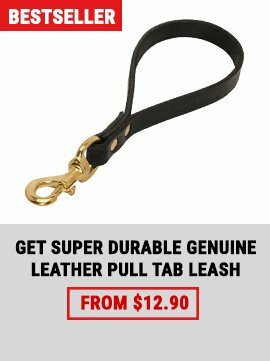 Made of high quality natural materials this supply has great strength, solid structure which is hard to bite through. The sleeve is really time-proof, it saves its shape, surface and functionality for a long period. This product protects the arm till the shoulder. 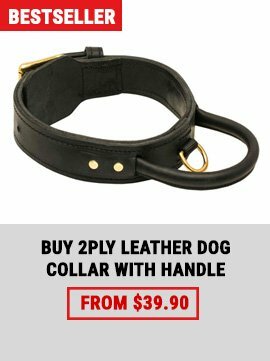 It is equipped with 2 strong handles that allow to hold the sleeve reliably and control position of the bite sleeve for effective training. 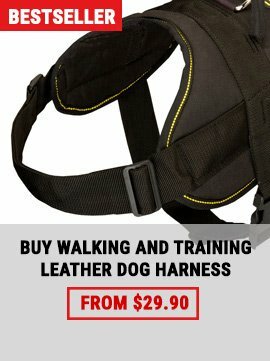 It makes the trainer to feel himself more confident and protected. One handle is hard and situated inside the item, the other, round handle, is stitched outside it. 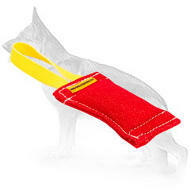 There are also a D-ring for on-leash training and wall-hanging loop outside the sleeve.